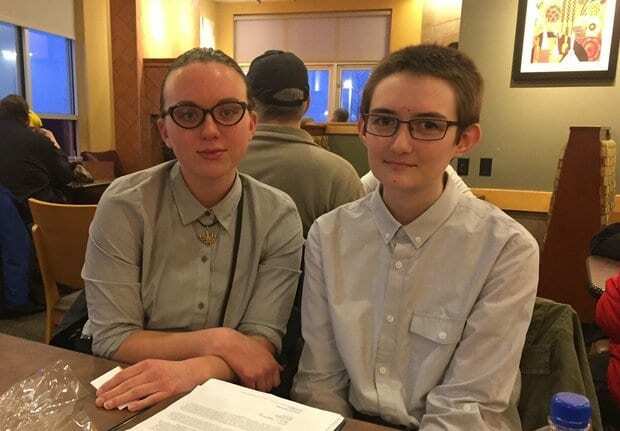 A pair of high school students who take classes at SUNY Oswego via a specialized program are upset at an assignment their “Principles of Literary Representation” class received: Defend Hitler’s Final Solution. CiTi/BOCES New Vision program teacher Michael DeNobile handed out a “Top Secret memorandum” to the class “addressed to senior Nazi party members.” It asked students “to put themselves in the shoes of Adolf Hitler’s top aides,” according to a report at Syracuse.com. Although the lesson does tell students it is “not for you to be sympathetic to the Nazi point of view,” and is just “an exercise on expanding your point of view,” Shurtliff and April allege it created a rather intolerant atmosphere. They came up with dozens of alternate assignments and materials that didn’t force kids to argue on behalf of mass killings. They contacted the Anti-Defamation League, which advocates for Jews. Within a few days, an alternative assignment was offered. Jordan wrote about America’s AIDS crisis and response. Archer wrote about the internment of Japanese-Americans and compensation paid to survivors. The students said they weren’t satisfied with the administration’s response. Despite the alternative assignment offered, many chose to stick with the original. There is no assignment that could ever be given to students that even hints at their [sic] being “two sides” to the “Final Solution”/Holocaust that would be pedagogically or morally sound, and we are very disturbed that students are reportedly being asked to be a part of this. High schoolers — vouching for the annihilation of an entire people is … merely going “outside their comfort zone”? Lovely.